And so to the second in the series of books AJ and myself have chosen to read by ‘canon authors’ that we have called ‘Classically Challenged’ and to a book that I feel very conflicted about writing about to be honest. Though really the good things about a book like Anthony Trollope’s ‘The Warden’, and indeed any canon classic, is that the author is dead so they can’t take offence and the book has legions of fans already. 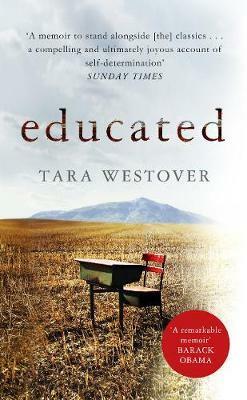 Plus can anyone’s book thoughts really do justice to books with so much fame/infamy? Interestingly AJ and I have been saying how hard these books are to write about when you think about the legions of academics who have studied and poured over the books in the past, I would never simply say a classic was’ boring rubbish’ or just ‘dead good’ but you know what I mean. Can you tell I am procrastinating actually writing about my thoughts on this book at all? ‘The Warden’ is the first in the series of the Chronicles of Barsetshire/Barchester Chronicles, tales all constructed around a fictional English Cathedral town. The novel doesn’t have a particular date in which it is set but as you read on you realise it is very much about the Victorian period in which it was written. Really ‘The Warden’ centres on Mr Harding who is the precentor of the cathedral and also the warden of Hiram’s Hospital, an almshouse supported by a previous and now deceased Diocese of Barchester which supports several men in it and also the warden themselves. It is this income that has been bequeathed that a certain John Bold, a zealous reformer, wants to look into as it seems that Mr Harding gets around £800 a year for really doing very little, is that really what the Diocese wanted and that money not benefit more people in better ways? Throw in the fact Mr Bold is in love with Mr Harding’s youngest daughter Eleanor and all becomes rather awkward. I have to admit that I just didn’t ever really get into ‘The Warden’ for several reasons. Firstly there was the problem of utter confusion. At the time this was published everyone reading would most likely know what a precentor of a cathedral was, I had no clue and going off an d looking it up I was given a mass of contradicting definitions, some simply said a clergyman others said a man in charge of the choir. I also just got confused with how an almshouse worked; again I went off a researched and still didn’t really get it. So coming to it from that angle, no matter how much I wanted to understand it was a slight issue. My second issue with confusion was why John Bold was making such a fuss. Not because, as I agreed, the money was extravagant at the time but what on earth it had to do with him. Here I will be as honest with a well respected classic author as I would be with a debut novelist as I like to compare books as a reader not an academic… It seemed simply do be done for the story, throw in this love for Eleanor and there we have a vague plot of a Victorian Robin Hood when actually Mr Harding isn’t really a villain. Plus if you have read the book and see the outcome this all becomes all the more unsatisfying frankly. I also found ‘The Warden’ a bit boring, both in terms of the subject matter, no offence to anyone of the cloth but it just doesn’t interest me much though that said if I’d enjoyed the book more I would have been happy to find out more, and also the writing. The first few chapters were really tedious trying to build a picture of the town, the history of Hiram’s hospital and Mr Harding situation itself, all ultimately being very confusing. It is also a book of a lot of ‘and then he did this, and then he did that, and then he did another thing’ which some people might like but I find the writing equivalent of those colouring in books where the colour matches the numbers, eventually there’s a picture but the effort wasn’t quite worth all that colouring in. Though in the main I found it rather dull and dry I did like some of his writing. 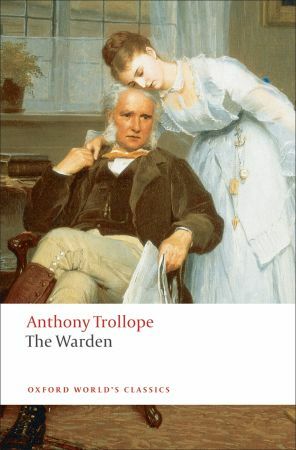 Trollope does describe the setting of the town very well, if a little long windily, at the start of the ‘The Warden’. I could also see that there was some deeper under workings about class and social morality going on, they were just to encased in the mundane, which reminded me of ‘Mary Barton’ by Elizabeth Gaskell only much shorter thankfully. It even manages to put some dampners on some wonderful names and characters Trollope creates, Mr Sentiment, Sir Abraham Haphazard etc. Also, when there is dialogue I felt the book really came alive it is just a shame this was few and far between. “‘Why not!’ almost screamed the archdeacon, giving so rough a pull at his nightcap as almost to bring it over his nose; ‘why not! – that pestilent, interfering upstart, John Bold – the most vulgar young person I ever met! Do you know he is meddling in your father’s affairs in a most uncalled for – most…’ And being at a loss for an epithet sufficiently injurious, he finished his expression of horror by muttering, ‘Good Heavens!’ in a manner that had been found very efficacious in clerical meetings of the diocese. He must for the moment have forgotten where he was. So all in all I am really rather disappointed in ‘The Warden’. Partly because I got on so well with Jane Austen so hoped I would every classic I tried and also because my Granddad Bongy, who used to make those books for me as a child and is no longer with us, loved this book and indeed the whole series was a favourite so I hoped I would love it too. I haven’t written Trollope off though, especially since discovering this was his fourth and apparently most disliked novel, so maybe I should try more? In fact why did so many of you vote for AJ and myself to read this book as the first Trollope if it is so dire, not that I am saying AJ disliked it you will have to check his review yourselves. I am a little more panicked about read Charles Dickens and ‘Great Expectations’ next now. Speaking of which check the post below to win a copy. So what are your thoughts on ‘The Warden’? Have I missed something? Should I ever read another Barchester Chronicle, or try something else by him instead?